As Director of the Dūcere Africa School of Government and President of the Australia Africa Business Council (Victoria), Di Fleming brings a wealth of leadership experience across education, industry, innovation and trade. As Australia is engaging with Africa across diverse sectors, Di has many stories to tell, challenges to wager and principles for leadership to share. Previously, Di was the Director of lab.3000, and Associate Professor in Digital Design at RMIT University where she established and developed the Victorian Government’s Centre for Excellence in Digital Design, steering the Centre’s evolution into the Victorian Government’s design fulcrum. Di Fleming began her career as an educator and a director of Fleming Flight Services, a successful small business, enhanced by government investment. This start-up changed the course of their young lives at the age of 25. Prior to her years at RMIT University, Di was CEO of Digital Harbour Holdings Pty Ltd, winning the bid to develop the Commonwealth Technology Port Precinct at the Melbourne Docklands. 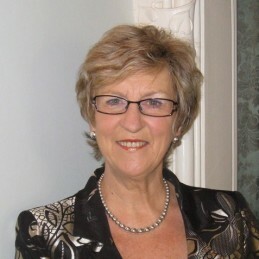 As Principal of Kilvington Girls’ Grammar from 1993 to 2001, Di was the first educator to achieve the Telstra Victorian Businesswoman of the Year Award and the National Telstra/AusIndustry Award which reflected her outstanding entrepreneurial, management and leadership skills in strategic management of innovation and the development of digital schooling. Presently, Di is a Consultant and Director of Accelerated Knowledge Technologies Pty Ltd, a company dedicated to the strategic management of innovation. She has published Generating Genius: Creating a Culture of Creativity. In 2001 Di Fleming was featured in the Federation Celebration Exhibition Ordinary Women, Extraordinary Lives, a chronology of significant woman across the previous one hundred years held at the State Museum, Victoria. Di believes that mentoring is part of professional responsibility – to prepare young people and pass the baton. Since 1976 she has given over 250 keynote presentations, workshops, university lectures and after-dinner addresses for both public and private sector organisations throughout Australia, Europe, the United States of America, Canada, China, the United Kingdom, Indonesia, New Zealand and Japan.